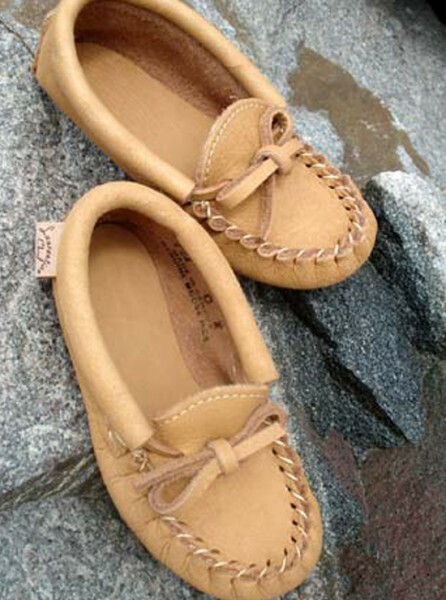 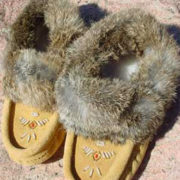 These traditionally styled moccasins are our most popular for children. 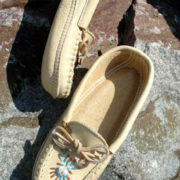 The moosehide is soft and comfortable, they slip on with ease and tie for the perfect fit. 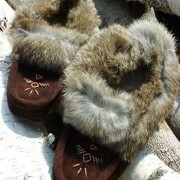 Great for around the house or cabin.